Born in San Juan, Puerto Rico, Composer Carlos R. Carrillo holds degrees from the Eastman School of Music (BM), Yale University (MM) and the University of Pennsylvania (PhD). His teachers have included Tania León, Joseph Schwantner, Christopher Rouse, Jacob Druckman, Martin Bresnick, Roberto Sierra, George Crumb, James Primosch, Jay Reise and Steve Mackey. Mr. Carrillo is the recipient of numerous awards including the Bearns Prize, the Charles Ives Scholarship from the American Academy of Arts and Letters, BMI and ASCAP awards. He has been commissioned by Music and the Anthology for the Da Capo Chamber Players, the New York Youth Symphony, Concert Artists Guild and the Pennsylvania Music Teachers Association. In 2004 he received a commission from the American Composers Orchestra, the second such work commissioned for ACO by the BMI Foundation, Inc./ Carlos Surinach Fund. Dr. Carrillo’s music has been performed at the American Composers Orchestra's Sonido de las Americas Festival and the Casals Festival, and by Young Musician Foundation's Debut Orchestra, Sequitur, Network for New Music, Prism Quartet, Puerto Rico Symphony Orchestra, New York Youth Symphony, and members of the New Jersey Symphony Orchestra. In 2002, his symphonic work Cantares was featured at the inaugural "Synergy: Composer and Conductor" program presented by the Los Angeles Philharmonic and American Symphony Orchestra League. In 1998 he received one of the first Aaron Copland Awards from the Copland Heritage Association and he was the 2001-2003 Van Lier Emerging Composer Fellow with the ACO. In the spring of 2005 Dr. Carrillo was invited to the inaugural John Duffy Composers Institute as part of the 9th Annual Virginia Arts Festival. In 2007 he received a fellowship from the Civitella Ranieri Foundation. From 2007 to 2009 Dr. Carrillo was musical director of the Wabash Valley Youth Symphony. 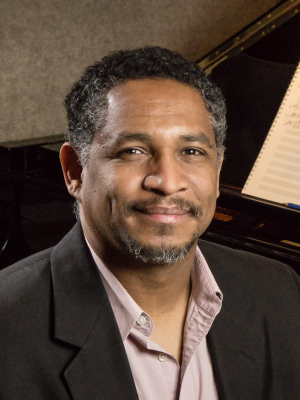 He has taught composition at DePauw University, Reed College, and the Conservatory of Music in San Juan, Puerto Rico. In the Spring of 2013 Dr. Carrillo was appointed Assistant Professor of Composition-Theory at the University of Illinois at Urbana-Champaign. Get Involved in Music at Illinois!